The official launch date of my new book, The Painted Art Journal, was July 4th and we have been celebrating ever since. It has been the most amazing experience to see how you are connecting with the book and the impact it is having on your own story within your art! Your take on the projects is so inspiring! 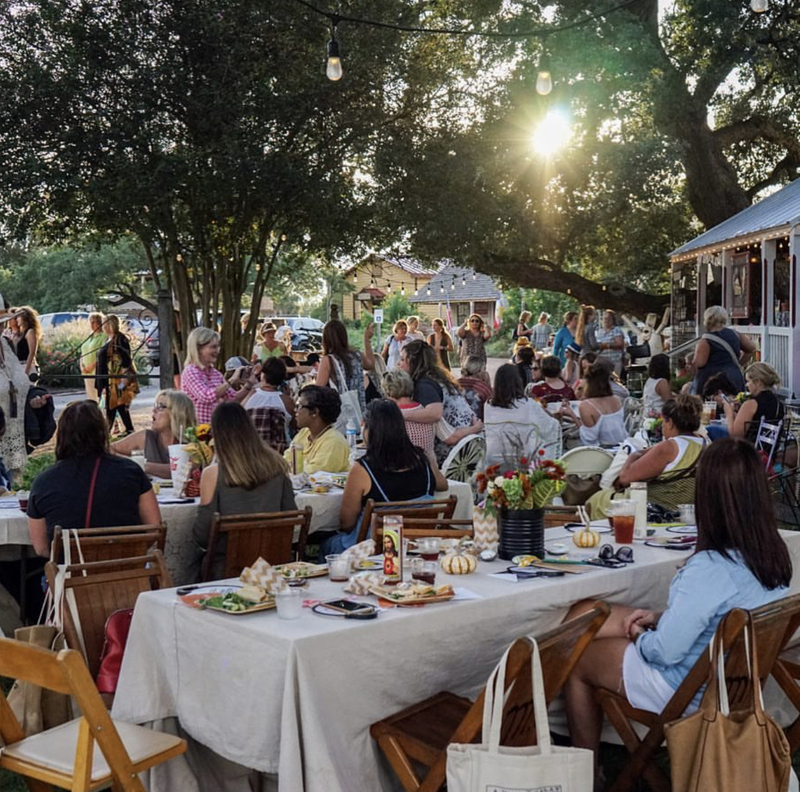 We are so excited to announce that we have some of the sweetest friends in Round Top, Texas and they have asked me to come during antique week and wait until you hear what is in store! It is sooo good and FUN! 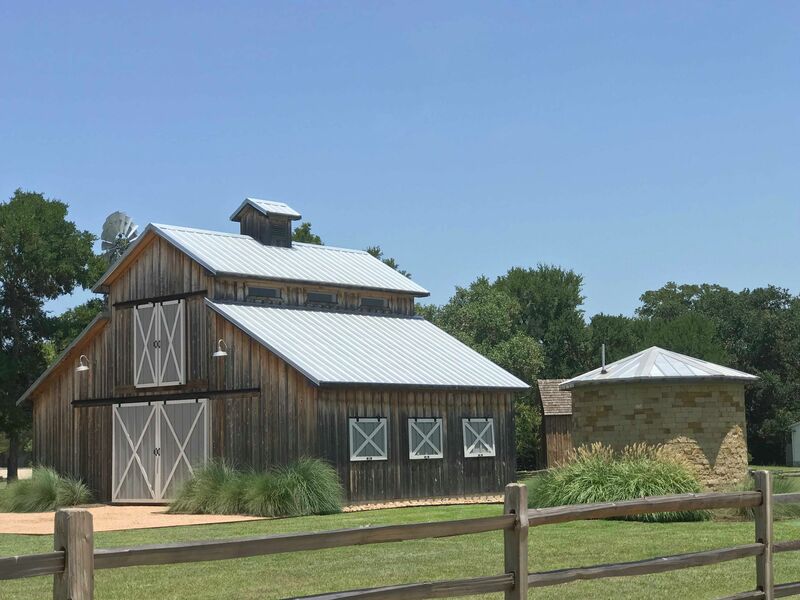 Join me for an all-inclusive one day workshop at The Mill Barn in Round Top, Texas on September 27th! 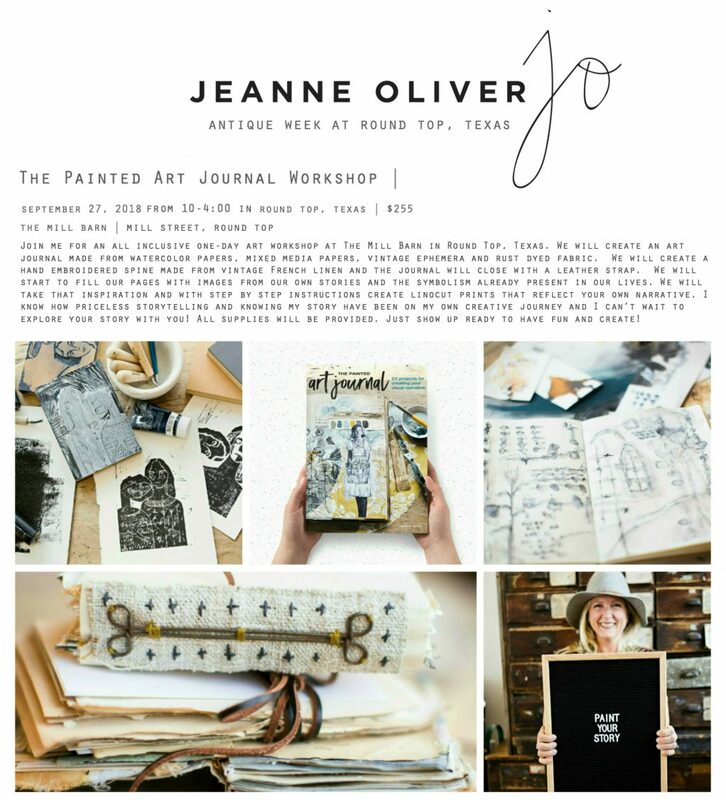 We will create an art journal made from watercolor papers, mixed media papers, vintage ephemera and rust dyed fabric. We will create a hand embroidered spine made from vintage French linen and the journal will close with a leather strap. We will start to fill our pages with images from our own stories and the symbolism already present in our lives. We will take that inspiration and with step by step instructions create linocut prints that reflect your own narrative. I know how priceless storytelling and knowing my story have been on my own creative journey and I can’t wait to explore your story with you! Just show up ready to have fun and create! All supplies and lunch is included. 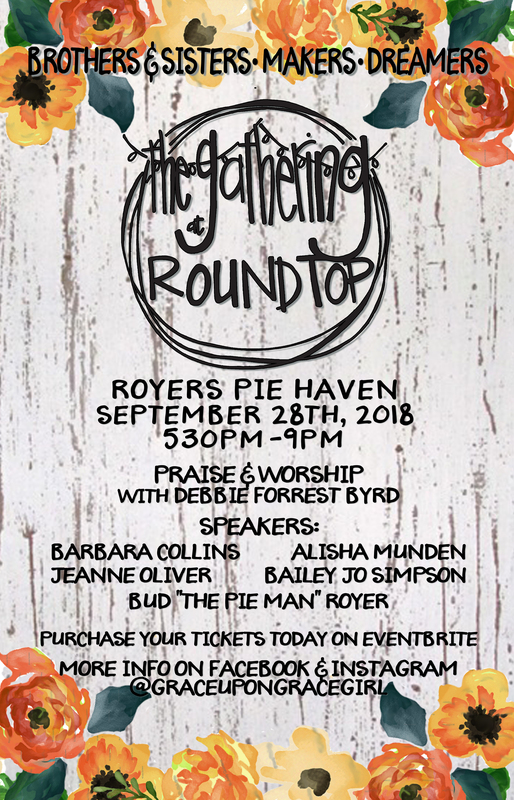 I have been asked to speak at The Gathering hosted by the extraordinary Tara Royer Steele. This will be a time of fellowship, worship, gathering and good food! It all started as a dream. a gathering in round top. It’s an amazing place, full of creatives, makers, sisters, brothers, and dreamers. GOD has truly been building a tribe. A place for men & women to encourage one another. To support one another. To love one another. We picked during the ANTIQUE SHOW because so many gather in our small town and try to see each other, and we know hard it is to get up and down 237, so why not create an event to bring us all together. And it ended up being so good, that we decided to do it twice a year! An evening under the clear skies, during ANTIQUE WEEK, fabulous swag bags, AMAZING PRAISE & WORSHIP & yummy dinner, snacks & drinks. Click HERE to read more and to get your ticket! This day we don’t have an event but if you are coming for antique week this is where you will be anyways. I have waited YEARS to come to antique week and this is where we will be. I can’t wait to search for metal signs, vintage papers, oil paintings and maybe even find some vintage linens. 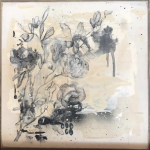 I met Holly Kuhn years ago through her shop Old Glory Antiques. Over the years we have become friends and I have such a deep respect for her as a businesswoman, her eye for beauty and how she loves on those around her. Holly is also a huge supporter of artists and the art community. Holly is one of the best collectors and stylists I have ever met. So many beautiful things in our home are because of Holly and what she makes available in her stores. I am so excited to come to Old Glory Texas for the first time and to have the honor of signing my book in this gorgeous space! I would love so much to see you there!